All the Bosch products around today are the legacy of a company that started over 100 years ago in Stuttgard, Germany. Bosch was born as a workshop for mechanics and engineering and has since grown into a company with products selling all around the globe, including a strong presence in the New Zealand technology market. They produce all types of products including Bosch dishwashers, building materials, the well known Bosch security and Bosch alarm systems and more. It began as the vision of a young, inspired boy named Robert Bosch who was active, imaginative and focused. Like most visionaries, he didn’t have many friends but the ones who called him a friend could rely on him completely. This dedication to the things important to him in life was carried into the development of the Bosch company and was a key factor in Bosch’s growth. Society and business together were of high importance to Mr. Bosch and the company has since been able to grow into something that now improves life for people all around the world by producing high quality products that make our lives easier, safer and more enjoyable. In New Zealand, Bosch is most well known for it’s home appliances and their high quality homesecurity and alarm systems. These systems are high tech and simple to operate, providing families all around New Zealand and Australia with convenient secure homes and businesses. We can see this dedication when using their products and by also taking a look at the long list of awards they have gathered since the beginning. Bosch is committed to improving energy efficiency in their products, which is evident by their numerous Energy Star awards. Depending on the model Bosh panels can control up to 144 zone areas in both the indoor and outdoor premises of the property. The panels come with a remote that allows for programming from an offsite location. This means we, the home or business owner, do not have to be onsite to program the alarm. We can enable and disable certain functions of the alarm without physically being at the location where the security system is installed. 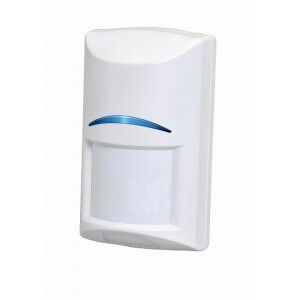 This can come in handy for those who forget to set the alarm when leaving their home or business and for those who need to change the security settings for different areas of the property at different times of the day while they are away. This system is easy to use and learn to operate. After installation, you won’t have to waste time learning to program the system by studying the programming manual. This is thanks to the CC100 Solution 16 plus Control Panel. The standard graphic code keypad provides text prompts during programming. This can be done at the keypad or from a computer offsite with the convenient software that comes with it. Beyond its ease of learning, it is easy to install, retrofit and maintain. The graphic code keypad has a proximity function that allows the alarm system to be armed or disarmed by swiping a token to the keypad. No pin number is needed, making it easy for children and the elderly to arm or disarm. This system is suited for businesses. It provides the security that is so essential to businesses, which includes protecting you and your staff’s valuable items and also provides the peace and stressless environment that comes with knowing your place is secure. It can monitor 144 different zones, 16 access doors and can cater to 256 user profiles. It will be able to handle the various needs of both small and large businesses and you will be able to choose who has what kind of control over the system. The CC610PB Solution 6000 Control Panel is as easy to use and program as the Bosch 16 Plus outlined above. The graphic keypad guides users through programming with text prompts eliminating the need to study the programming manual. The keypad is also equipped with the proximity function which allows users to swipe their token against the panel to arm and disarm the system, a great function for children and the elderly. 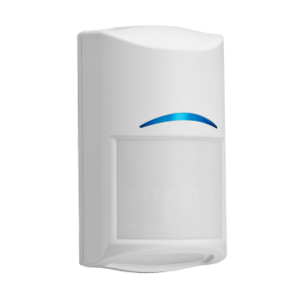 These motion detectors are built for homes. 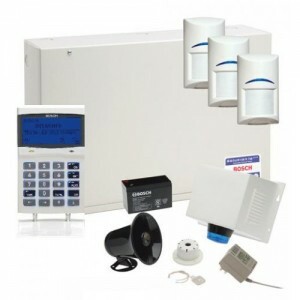 They are easy to install, detect repetitive, non threatening motions to prevent multiple alarms from things like ceiling fans or other non threatening moving objects around the house. They include a pet-friendly function to prevent pet movement from sounding an alarm. Covers a 12m x 12m area. These sensors covers a larger area of 16mx21m that can be reduced to 8mx10m for short range detection. 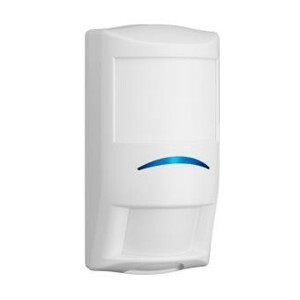 They aren’t equipped with pet-friendly motion detection but come with an advanced anti-masking technology to prevent sophisticated intruders from blocking the sensor. These sensors are for commercial areas. They cover a larger area and do not come equipped with pet-friendly detection. They also come with advanced anti-masking technology. If you buy a top of the line security system from Bosch today, it won’t be necessary to replace the whole system for many years. Parts can be replaced and software can be upgraded with ease to ensure your system is up to date, your property is as safe as possible and your mind is at ease. 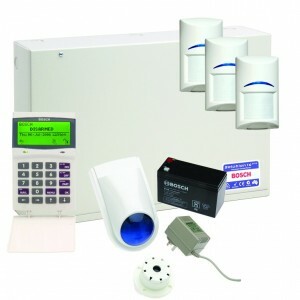 All our installers through out New Zealand supply and install a full range of Bosch security and alarm systems. Use the quote form on the righthand side to get a FREE on-site quote now.